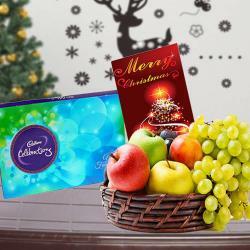 Product Consists : 5 Kg Mix Seasonal Fruits in a Basket, Indian branded bottle of Wine along with Christmas Greeting Card. (This product can not be delivered in Gujarat as it has been declared as 'Dry State'). 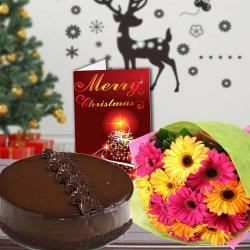 Christmas special hamper is the one that we have here only for you to make anyone elated from the core. Make anyone feel delighted with a gift that comprises of a basket of fresh and healthy fruits along with an exotic bottle of branded Indian wine and Christmas greeting card. All these things are sure to make an everlasting impression on anyone for Christmas. Be it anyone from your friends or family, it will make everyone smile. 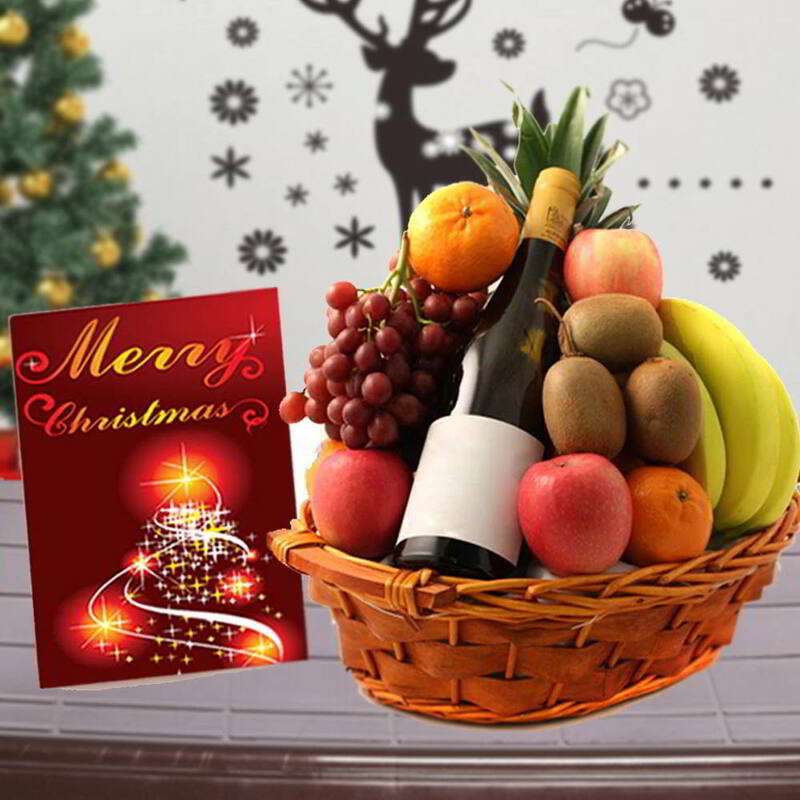 Product Consists : 5 Kg Mix Seasonal Fruits in a Basket, Indian branded bottle of Wine along with Christmas Greeting Card. (This product can not be delivered in Gujarat as it has been declared as 'Dry State').